Trump vs. Hillary – Two Surprising Views; Is Trump getting Romnified? Check out this picture. Its not rocket science. It highlights the problem that the elites caused and they ignore at their peril. Now do you think they understand and “get” the Trump phenomenon? This goes back to the last two years of the Bill Clinton presidency. 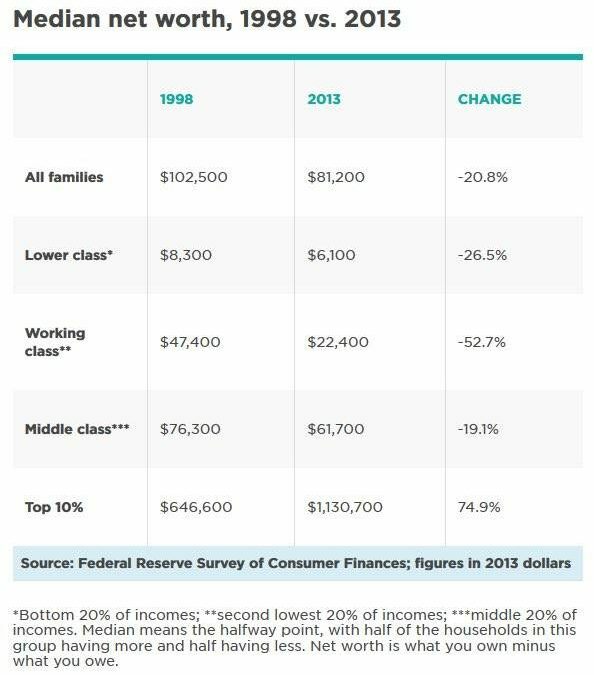 So the bottom 90% of the American people have been economically damaged under three past Presidents, two Democrats & one Republican. These past 18 years have been a story about “crony capitalism, pay-to-play politics, special interests, … policy inertia” in the words of David “Rosie” Rosenberg, a famed economist who was a timely voice against the bubble of 2007-2008. Rosenberg is the economist who coined the phrase “If Uncle Sam was a stock, you would want to buy it” that we used as title for our article on July 3, 2015. Recently, he spoke about the urgent need for fiscal expansion and the election at the 2016 Strategic Investment Conference of Mauldin Economics Trump vs. Hillary – Two Surprising Views; Is Trump getting Romnified?